Juventus North America Blog :: van Persie off to Man U? 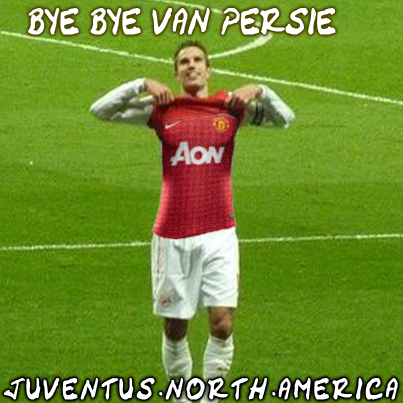 Robin van Persie now seems a step away from Manchester United. According to rumors reported by the British press, the jewel of Arsenal, the protagonist of the other summer hit, would have dissolved any doubt as to his future destination. The Manchester Evening News report that Robin Van Persie could fly into Manchester this evening as the player looks set to seal a move to United. The player has been training with Arsenal as they prepare for a friendly against FC Cologne on Sunday but the source does not foresee the player remaining an Arsenal player by that point and for United, having missed out on Lucas Moura, Van Persie will signal their intent of wrestling back the title off City.